Metal recycling is beneficial for numerous reasons. It preserves natural resources, reduces air pollution, stimulates the economy, and best of all, it puts cash in your wallet! That’s right; you can sell your scrap metal to a local Indianapolis scrap metal recycling center. One of the most valuable non-precious metals to sell for a notable profit is copper, even when the market prices are low. Where can you get your hands on some scrap copper to sell? Continue reading to find out! Copper has various qualities that make it a desirable metal to repurpose, which is why it tends to always be a hot commodity among scrap metal buyers. Not only does copper retain high thermal and electrical conductivity properties, it is soft and malleable, making it a perfect metal for ornamental work, metal work, and even coinage. This can help you identify some places to find scrap copper around the house, and throughout the town. Whether residential or commercial, plumbing components will always offer some form of copper. Of course, you do not want to take apart your shower and kitchen sink to sell your copper faucet, but you can keep any old ones that you replace for resale later on. 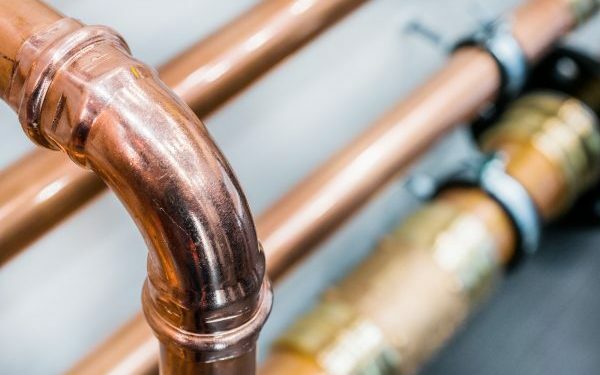 Common copper plumbing components include sinks and tubs, which come with a higher profit value, as well as, faucets, drains, u-joints, showerheads, and pipes. If you have old or broken down appliances or electronics, be sure to save them for resale because they likely contain copper. Since copper is ductile and retains thermal and electrical conductivity properties, it is often used for electrical wiring and computer circuit boards. This means anything that operates electronically or on a computer system, will have copper or other valuable metal in them. For the same qualities, appliances are also a hotbed for scrap copper coils. Refrigerators, water heaters, water softeners, dishwashers, microwaves, and more all contain valuable metals, including copper. As mentioned, copper is highly malleable and soft, which is why it is commonly used in metalworking and art. This means you can look to your old kitchen pots and pans for some recyclable scrap copper. Other kitchen items that may be made from copper include mugs, plate ware, cutlery, and cooking utensils. Also, any old household décor, such as statues, plaques, medals, clocks, framing, sconces, wall art, and mirrors are all possible sources for copper. Not only will it render you a pretty penny in profit, you can also make room by getting rid of a heap of old junk! 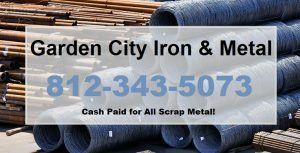 Call Garden City Iron & Metal at 1-888-586-5322 to recycle scrap copper and other types of metal in Central and Southern Indiana. We pay cash on the spot for both ferrous and non-ferrous metals, as well as, junk cars, automotive parts, appliances, construction equipment, motorized farming equipment, and much more! Get rid of your junk and make some fast cash at the same time. This entry was posted in Appliance Recycling, Electronics Recycling and tagged appliance recycling Indianapolis, electronics recycling Indianapolis, recycle copper Indianapolis, recycle scrap copper Indianapolis, sell scrap copper Indianapolis, where to find scrap copper. Bookmark the permalink.